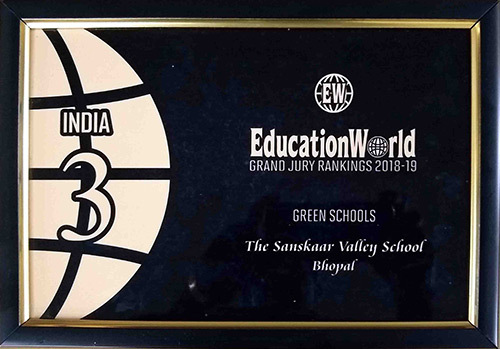 As part of the Education World Grand Jury Awards 2018, The Sanskaar Valley School has been honored as one of India's Top 5 Green Schools. The Sanskaar Valley School was judged on the basis of its environment-friendly campus and environmentally responsible & resource-efficient processes and sustainability practices adopted at the school. This award truly reflects the school's underlying intend to protect the environment and provide to our students an atmosphere where creativity thrives!